If you have problems viewing these files save them to your computer first. 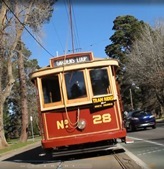 Ballarat Tramway Museum Promotional Video 2013 produced by Ballarat Regional Tourism. "> Linked to You Tube is Screen Australia's Film, Autumn of a Mining Town, made just before the Ballarat Tramway System closed down. Some other great railway films too on the Screen Australia You Tube site. The Museums 7 min. video about the history of Ballarat Tramways and the Ballarat Tramway Museum. This video requires Real Player. A Museum driver's view of our track from Carlton St to St Aidans Drive, filmed in Autumn 2014, prior to the reconstruction of the roadworks at Depot Junction. The music is "Autumn Leaves" by Poddington Bear from the free music archive. Filmed by Roger Gosney, 6+mins. This film is linked to our You Tube channel. A Video of Melbourne X1 No. 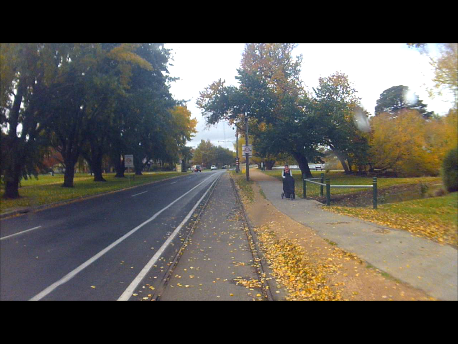 466 running along Wendouree Pde, Ballarat filmed by Andrew Cox during 2006. This video requires Real Player.